We have over 170 riders who share a passion for safe, responsible motorcycling - on the road and on the trail. Most members ride BMW's but we welcome like minded riders of all brands, from novice to expert. We ride (a lot!) April-October, and meet-up for social events year-round. Join us for a club meeting on the first Monday of any month, September-June at KS on the Keys, dinner 5:00-7:00, followed by club news and keynote presentation. Where is KS on the Keys restaurant? KS on the Keys is in the South Keys Mall (Bank @ Hunt Club). How are guided club rides organized? Club rides are led by our most experienced riders, managed by our Ride Captain. Most rides are a full day from about 9:00-4:00, covering about 300 km, with comfort breaks and a lunch stop. The group - usually 30-40 bikes - is split into distinct packets of 6-8 similarly experienced riders. Each packet travels in its own safety envelope with a leader and a sweep. What if I don't like riding in a group? No problem! 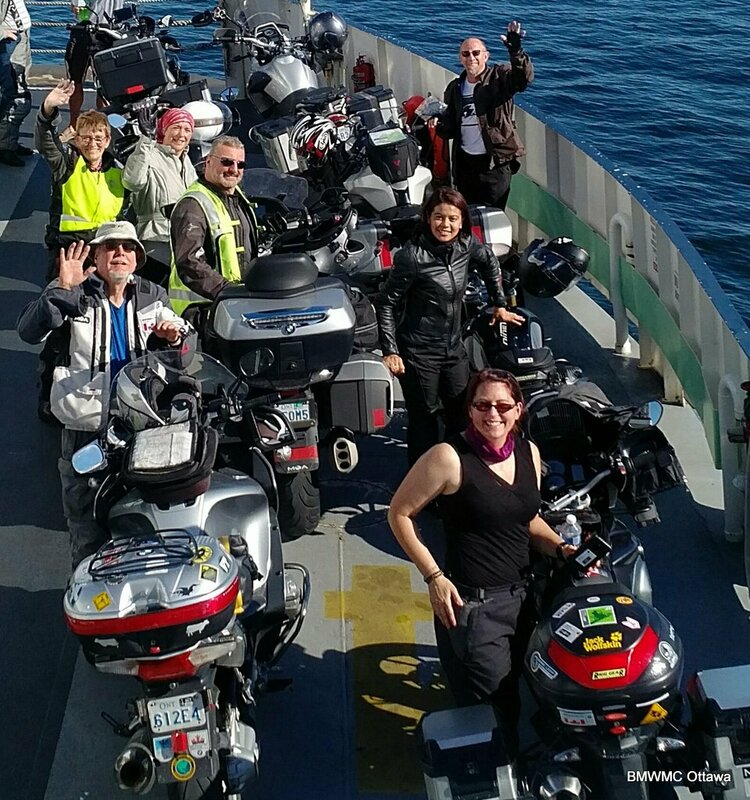 Lot's of members prefer to ride solo, so they download our great routes to ride anytime. They also enjoy our Social events, Tech workshops, website resources, and year-round access to a wealth of member "know-how" on all things BMW. I don't have a BMW yet. Can I join? Absolutely! Members often have well maintained BMW's for sale plus, once you've been a club member for 12-months, you'll qualify to save up to $750 (pre-tax) off the price of a new BMW Motorcycle. I just bought a BMW motorcycle. Should I join? Yes! And if you bought it from the Ottawa Goodtime Centre you qualify for a complimentary 1-year membership! When was the club founded and who's in it today? The club was founded in 1983. Today we are 175 strong, and a fascinating mix of professionals, educators, techies, artisans, and military. Both active and actively retired. And we all love to ride!